Hollie Rivers is the Marketing and Development Manager at Actor’s Express. She originally began working at Actor’s Express as a Box Office Assistant in 2016. Hollie is also a Teaching Artist at the Alliance Theatre. She has previously held positions as the Marketing Associate at Georgia Ensemble Theatre, and as a theatre educator for Autism Improvised, The Cottage School, Georgia Ensemble Theatre, The Athens Regional Library System, The Ritz Theatre, Gainesville Theatre Alliance, Fifth Row Center Theatre, and more. 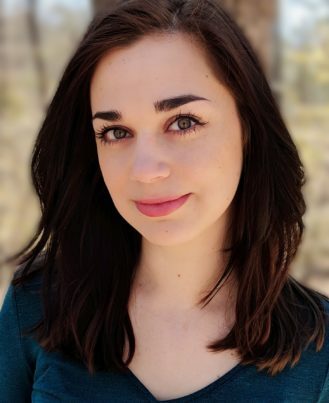 Hollie graduated with a Bachelor of Arts in Theatre from Brenau University and trained in Acting and Theatre for Young Audiences Performance at the Gainesville Theatre Alliance.